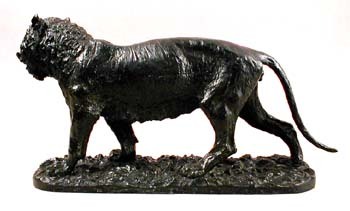 Tigre Marchant was exhibited in this large size by Fratin at the 1858 Paris Salon and is considered by many scholars as one of his rarest and finest works. 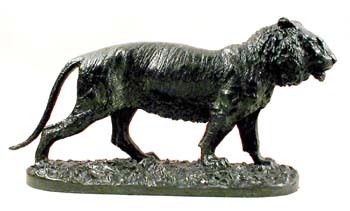 The model of the walking Tiger is illustrated on pg. 137 (photo C35) of Animals in Bronze by Christopher Payne and on pg. 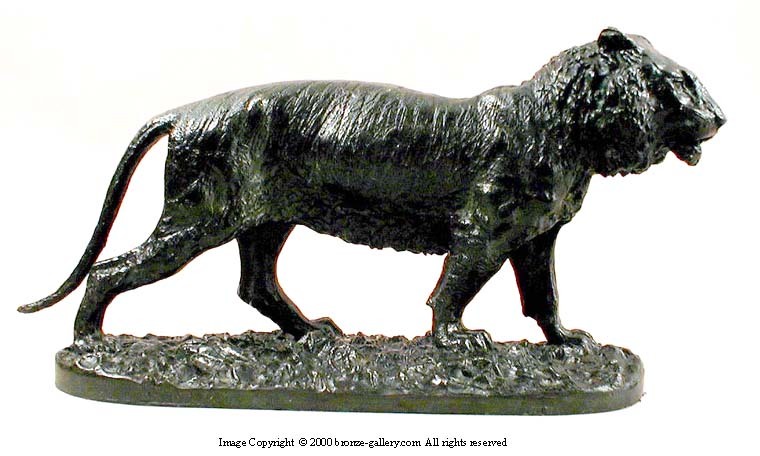 323 of Bronzes of the 19th Century by Pierre Kjellberg. At almost 2 feet in length this is a very large, impressive, sculpture. This cast is extremely detailed and superbly finished with a black patina. 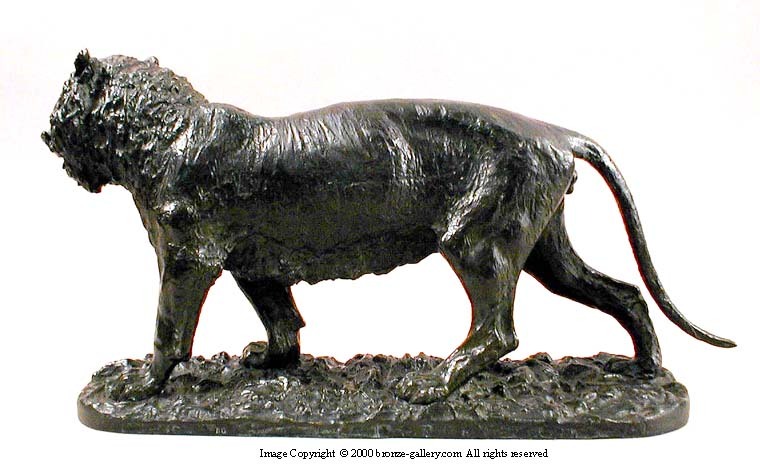 Fratin is ranked as one of the finer Animalier sculptors and this model has the same power and presence as similar subjects modeled by Antoine Louis Barye.